For a first time viewer of The Wiz anything, I truly enjoyed The Wiz Live!, NBC's third outing of a live musical. At first, the announcement of NBC looking for a fresh newcomer to play the iconic role of Dorothy made me a bit leery. Like, whoa. This network is not playing games. But the decision turned out to be a great one. Shanice Williams shined. Her voice was stellar and has room to mature given she's only 19 years old. Also, again, she's a newcomer. I have a feeling the folks watching gave her a chance to shine. Based on my Twitter timeline (because there was no way that I wasn't watching this without Twitter), I didn't see any hard criticism thrown her way. I can't say that reaction would have been the same if the role was performed by a young well known actress/singer. Look how everyone came down hard on Carrie Underwood (Sound of Music) and Allison Williams (Peter Pan). Granted, I didn't watch either live shows but I know of Carrie's lack of stage performance since her American Idol days. Memories of Carrie robotically moving across the stage while singing still haunts me. So color me surprised when she was cast as Maria. Other standouts to me were Amber Riley (The Good Witch of the North), Ne-Yo (Tin Man), and David Alan Grier (Cowardly Lion). Not to say everyone else didn't do a good job because they did. Well, except one person. For the life of me I still don't understand why Common continues to get speaking roles. HE CAN'T ACT. HE. CAN. NOT. ACT. Dude basically had 10 lines and fucked up each and every one of them. Dude basically had to stand tall and menacing as the Bouncer/Gatekeeper to Emerald City and he struggled. My word. "Yeah. But he's soo cute, though." That may be true but nah. Nope. Stop the madness. Toto the dog appeared for one scene then never came back until the very final scene. Maybe he wasn't ready for the big lights. Also, I really wasn't feeling Mary J. Blige as the Wicked Witch of the West. Her acting was a bit too over the top. It didn't come across naturally. And that's fine; she's not an actress. So I tried to keep that in mind but at the same time I was ready for her to disappear. Finally, it wouldn't be right for me not to mention my fellow Naija girl, Uzo Aduba, doing her thang. She sang beautifully, minus the wonkiness when she was going for the last big note in Believe in Yourself. My favorite set/scene has to be when the gates opened to reveal Emerald City. Clearly, we all needed to be at this green city, laughing, singing, and voguing it up. The only thing missing was a DJ and drinks. It had a very club vibe. I loved it. Speaking of voguing, another thing that amused me to no end was seeing some of the popular dances of today slying weaved into the choreography (done by Fatima Robinson). There was the nae-nae, the drop, the quan, the stanky leg. The freakin' Tin Man was dabbing. Thankfully, I DVR'd this special event because I very much intend to watch it again before the end of the year runs out. 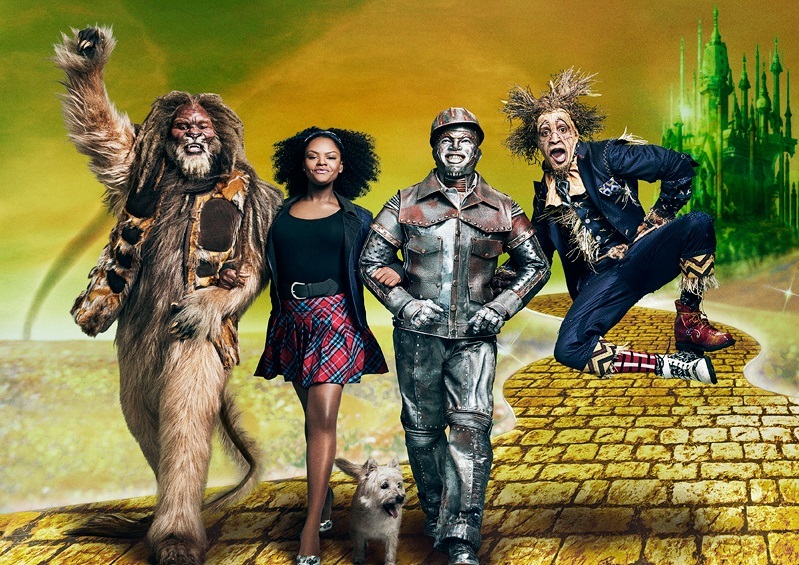 Hell, I may even go a step further and watch The Wiz movie for the first time. Actually, that may not happen. Who knows. 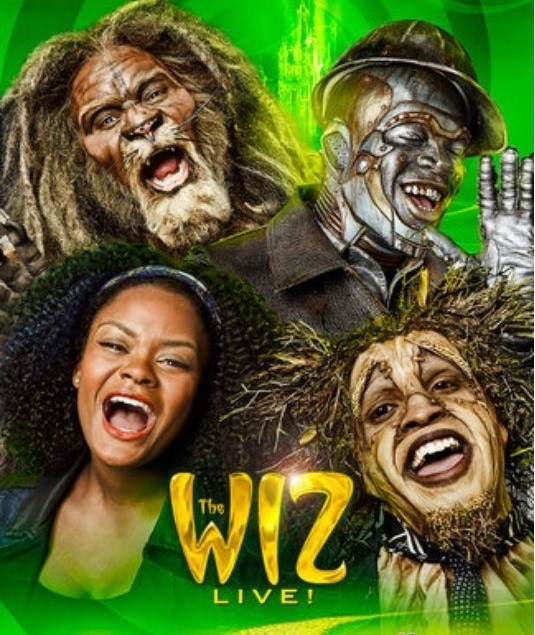 Did you watch The Wiz Live! last night? Did you enjoy it as much as I did? What were your favorite (and not so favorite) moments?